The 2012 Journal is complete. 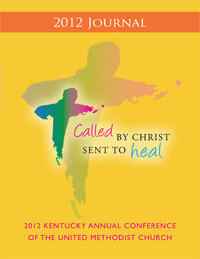 Clergy and lay members of The Kentucky Annual Conference can receive the password for the protected chapters by contacting their DS or the Conference Secretary (jlove@kyumc.org). Find an error? Click here, then please print and mail us the corrections. Thank you.